Description: Poured light amber with a good sized white head, cloudy appearance. Some citrus in the aroma, but a with some bread / crackers in the background - I got a bit of hefe spice too. Pineapple is the first taste to hit my tongue, but again there's some light spice there too, followed up by some grass and a bit of grain. 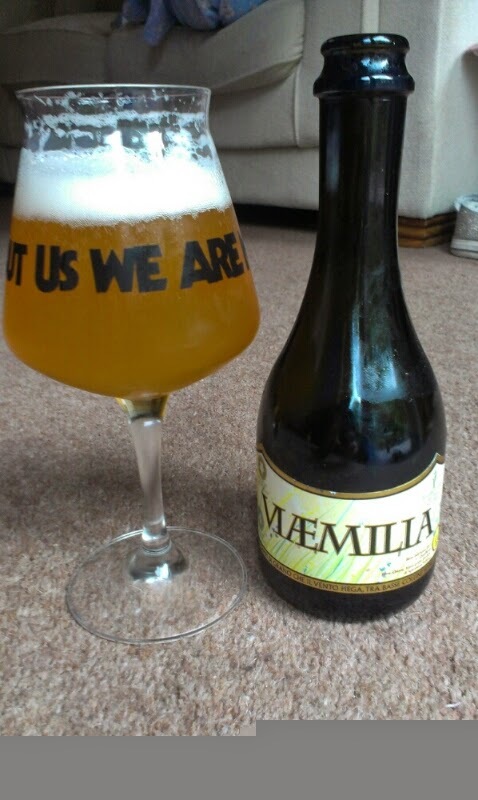 Light bodied, decent fizzy, easy drinking. 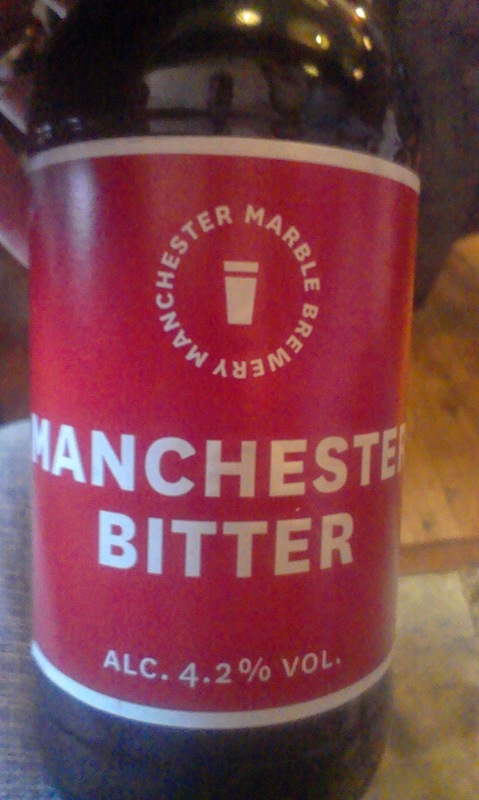 First up was the Manchester Bitter - pale golden, perfectly clear (despite the fact that Marble doesn't use finings in any of its beers, these bad boys are all vegan friendly), a decent bitterness - probably the most sessionable beer of the night. Bitters aren't really my thing but this a decent example and I know a few friends who would love it. 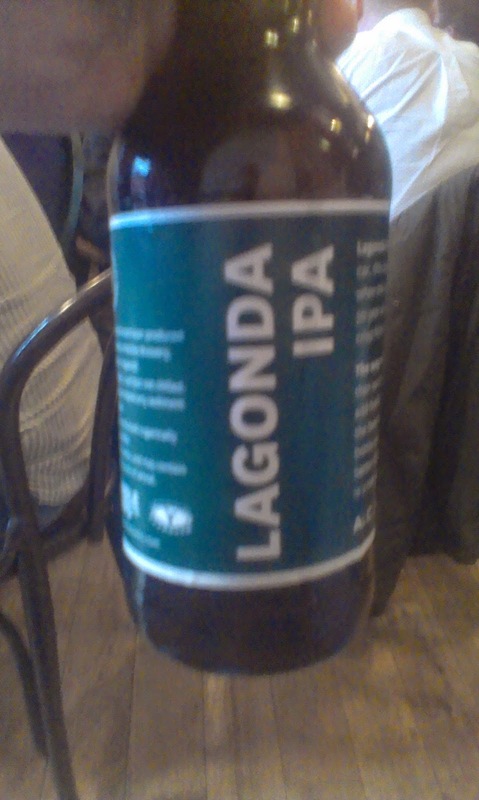 Second we had Lagonda IPA - this one upped the hops, american stylee. Tasty but drinkable with a nice resinous finish. 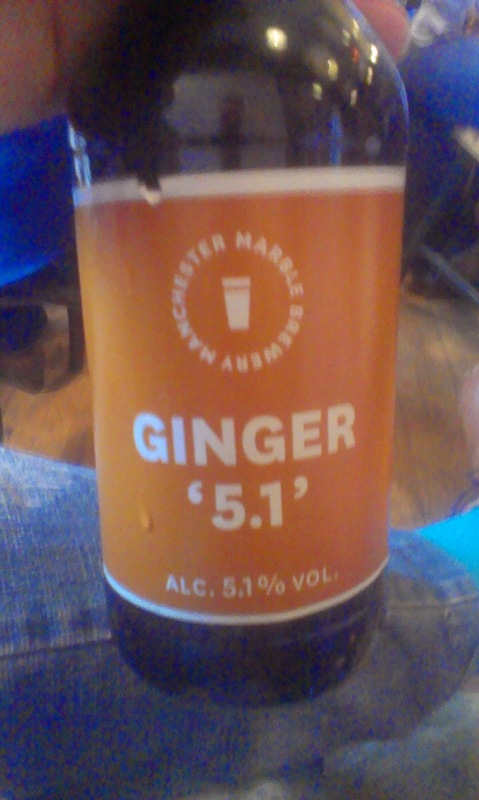 Third was Ginger 5.1 - a proper ginger beer, with a shitload of real ginger and a touch of chilli. Not my thing but you could see it was well made. 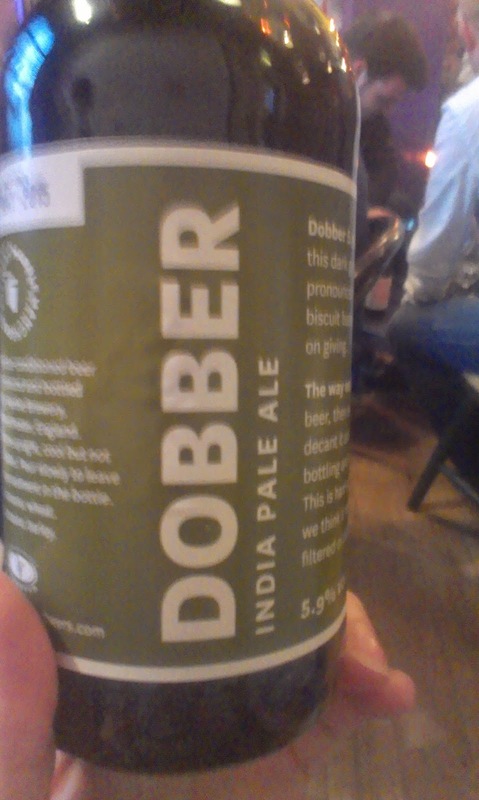 Fourth was Dobber - the biggest marble in the pack indeed (despite some discussion here as to reasons for its naming - though the story told on the night went the recipe from Ginger was "borrowed" from the famous Brendan Dobbin! ), lots of NZ hops lend this a real kick and more of the oily, resinous finish. As good an IPA as I've got my hands on from England. 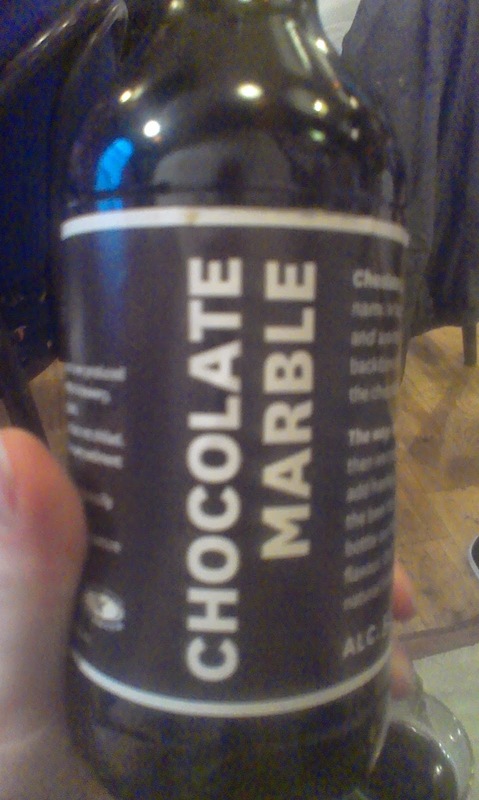 Fifth we had Chocolate Marble - there good discussion as to the style of this beer, for me it does touch more on an old ale than anything else, decent chocolate bitterness, and a figgy fruit note. 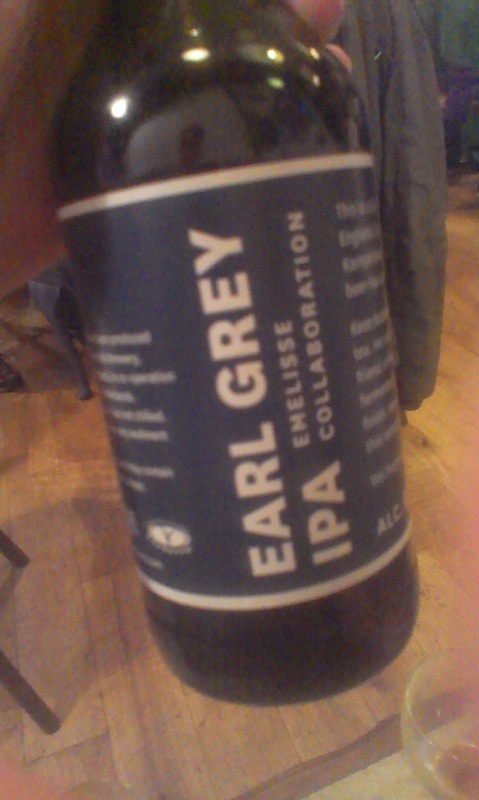 Sixth was Earl Grey - brewed in collaboration Emelisse, this had actual Earl Grey tea in it, which helped bring out the fresh hop citrus. My second favourite beer of the night after the Dobber! Finally the guys let us finish on surprise - an unnamed beer brewed for the 125 anniversary of the bar where it all started for Marble. This was a big number (13 odd percent someone said), lots of barrel in the flavour, but a big chuck of dark fruit too. There was something reminiscence of Bourbon County Stout - but not as complex or as much booze. Nice way to finish. It was a great night, you could really sense the passion and pride of the folks from Marble, and this translates into their beer. The fact they sent so many people over tells a story in itself. They are hoping to have more of a presence in NI and I wish them well - keep an eye out for their beers soon! Final tip - Beer club and brewbot are planning a proper beer dinner and a trip round some of he best breweries in Ireland, see here for more details. Don't think I can make it but it looks good!